Thank you for your interest in purchasing tickets to the MoMA Armory Party. Tickets are no longer being sold online. You may purchase tickets on March 7th in person at The Armory Show (Pier 94 or Pier 92) or at the door of the event at MoMA starting at 8:00PM. Tickets may sell out and are first come first serve. 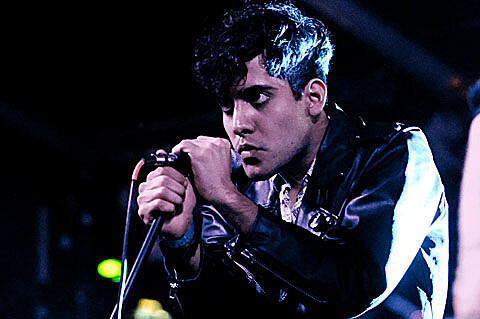 Tickets are also still on sale for Neon Indian’s upcoming show at Terminal 5. All dates HERE. Neon Indian’s Alan Palomo recently hooked up with Rostam Batmanglij (Vampire Weekend), Vijay Iyer (Vijay Iyer Trio), Ashok Kondabolu (Das Racist), Alan Palomo (Neon Indian), Amrit Singh (Stereogum), Himanshu Suri (Das Racist), and Anand Wilder (Yeasayer) to go on a hunt for good South Indian food in NYC. Their “Dosa Hunt” has been made into a film produced by Amrit. You can watch the trailer below…. DOSA HUNT Trailer from amrit singh on Vimeo.